Water has always been my major fascination..maybe I was a mermaid in my last life 🙂 ..so the trip to Kuntala and Pochera waterfalls was bound to be awesome! 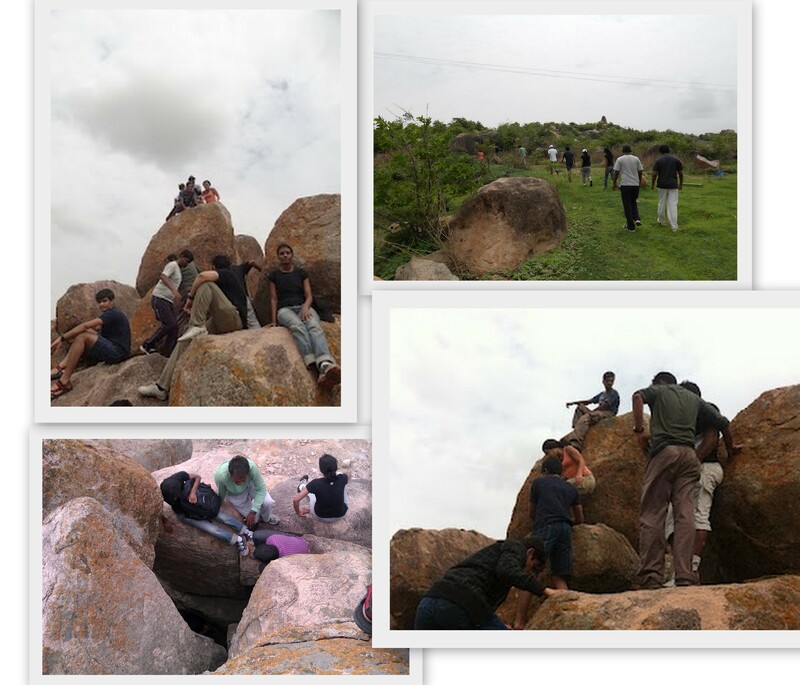 It was a trip hosted by Hyderabad adventure club. We were a bunch of 19 strangers, who pooled up at 6am in the morning to begin our journey. 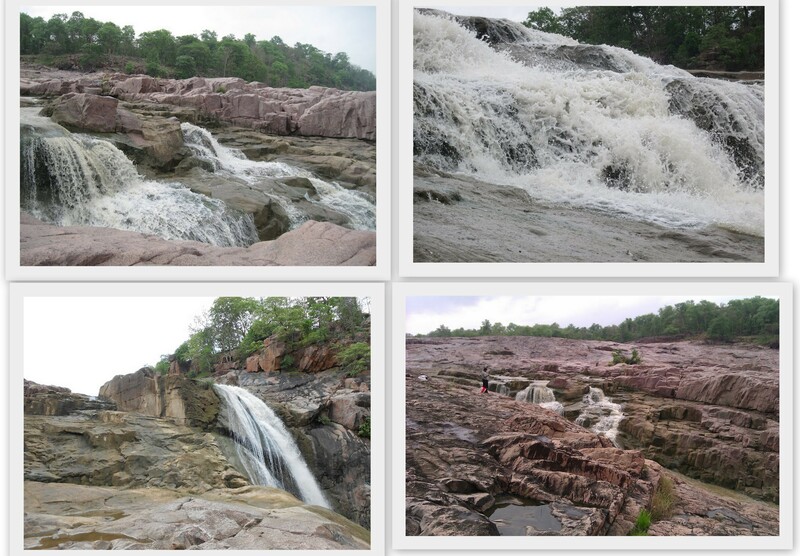 Kuntala is the highest natural waterfall in Andhra Pradesh about 280 kms from Hyderabad. The bus journey was good. Everyone did an intro round aka ragging (had to recall our engineering ragging days), played some dumbcharades, antakshari that the 280kms went off in a jiffy. 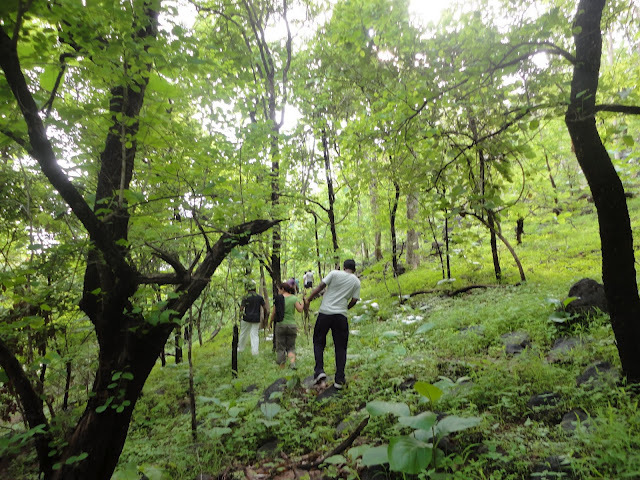 We went through some towns, villages and at the end hit the ghat road of the Adilabad hills. The weather was pleasant and with the monsoons cleaning up the air, the greenary was a blessing to the city soaked eyes. We reached Kuntala by afternoon. The water was not in abundance but was perfect for you to get in and have a bit of fun. 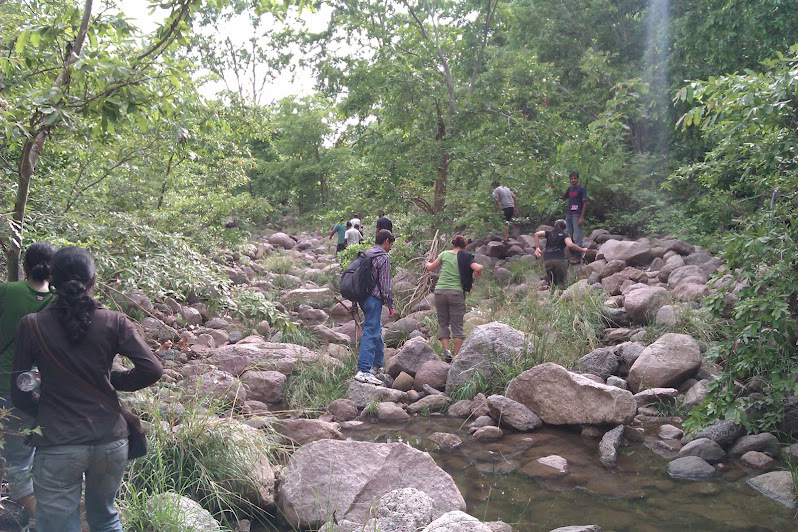 Instead of taking the steps, we trekked the rocks from the top of the waterfall to the bottom. It was a nice one, but one needs to be very careful and our organizers were guiding us perfectly for a smooth descend. It was a perfect set up to put your feet in water and sit by the water for sometime. The story says Shakuntala and King Dushyanth fell in love with each other here in this beautiful surroundings. We did a bit more trekking till evening on the rocks, through the forest surrounding the falls. Exhaustive but amazing. After all the trekking it was time to fill up our growling tummies. 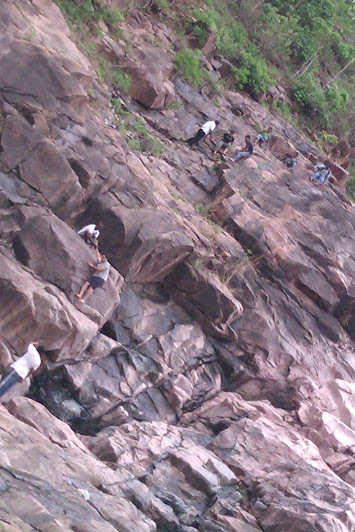 We found a dabha and had a 19 memeber roundtable lunch..err or should I say round-floor.The next stop was pochera falls. 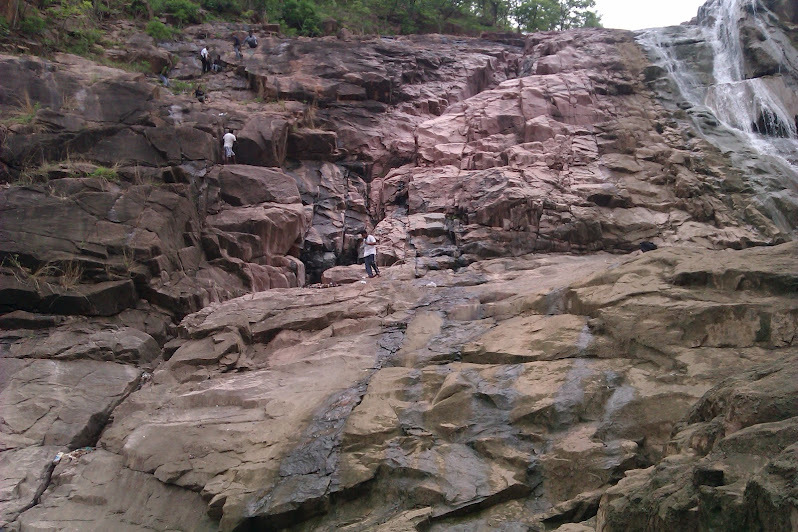 Pochera are another falls near Kuntala. Compared to Kuntala it was smaller but inside a forest. By the time we reached the falls it was getting dark. So we decided to camp at Pochera. 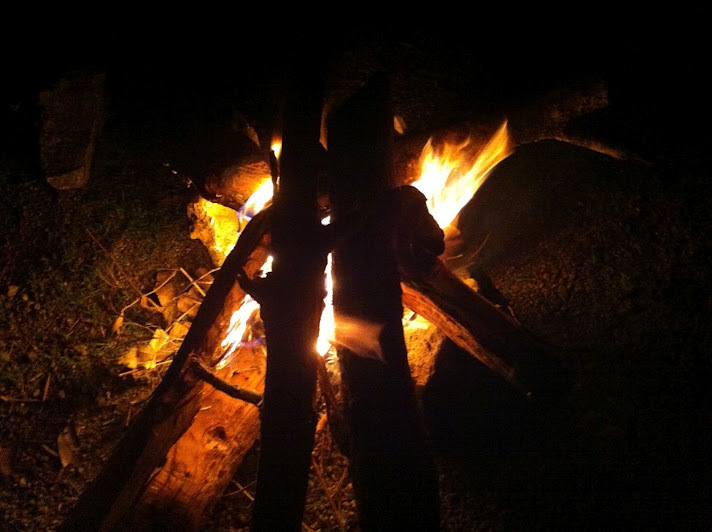 A camp fire was put up with everyone trying to put in their fire skills to use. Finally our ‘fire man’ managed to get an amazing fire up inspite of the drizzle. It was pitch dark by then in the forest.Except for the light from the camp fire and the light bugs everything else was swallowed by the night. To pass some time, the topic on ‘Ghosts’ was picked up discuss…gulp..and I was the person sitting at the end with my back towards water..some great acting skills by Mr.Apollo showing that he is possessed by a ghost and some ‘real-time’ stories got everyone into spooky mood…forest, dark night, no lights, scary trees…not my style to hear about ghosts..boo boo..
Then we went for a night trek through the forest with torches in hand..it was a new kind of experience..I have done treks but this was my first night trek with torch lights in a pitch dark forest. Next morning we got up early and went to explore the falls and there they were..amazingly beautiful small water falls in the rocks..we jumped into the water and sat under the waterfalls..it was the best part of the trip and I simply loved it…Water is something which makes me somehow very very happy..
After soaking ourselves it was time to leave..saying bye to the water we started back to hyderabad. Had breakfast in a nearby town..I guess everyone was so hungry that the tiffin guy was sold out..when we asked for more food at the end, he was like you guys had everything! That was funny. On the way back we did some Bouldering for a couple of hours on some hills…we crawled through some caves, climbed some very narrow rocks, did some caving…did some analysis on the bones we found in the caves…some monkeys in our group attempted to climb the trees as well. We reached Hyderabad by evening..we left Hyderabad as 19 strangers and came back as 19 buddies..was an amazing weekend getaway..and the simplicity of this trip was, nothing was planned, just going along with the flow. 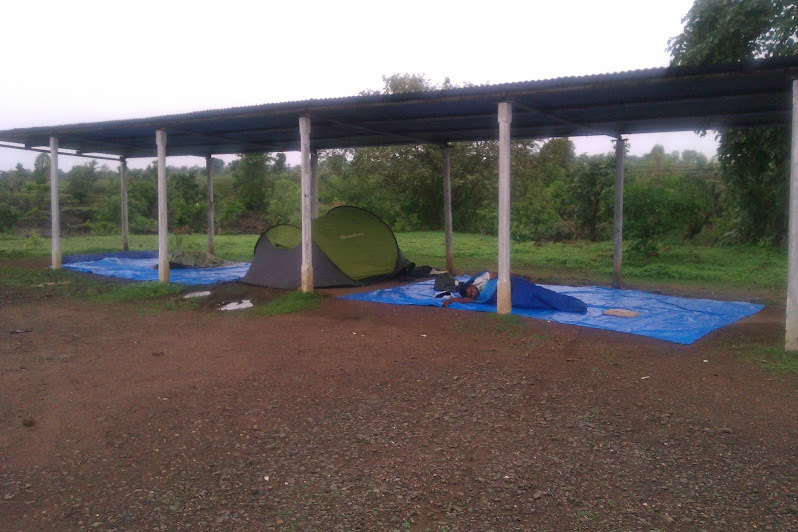 No table to eat, sit on the floor…no room to stay put up a tent and sleep..no water find a water fall and get under it. 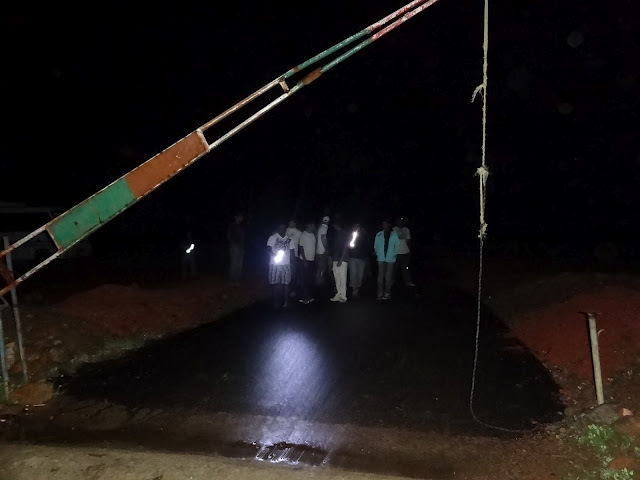 Monsoons, forest, waterfall, an amazing crowd, ghosts, hills all mixed together was this milkshake called “Kuntala and Pochera trip”. Previous Post Women living alone in India – Is it weird? Hi, Me and my friends are visiting next weekend. Can you please let me know where is the extact place you guys have halted in the night in pochera and do we have to take any permession to stay in the night.